OWNER/MANAGER: Please use the numbers or email below to contact ivacationonline.com with any questions you have about using the site or software. We also have aHelpsection that may answer your questions. Please review theHelpsection for your questions before you email us. If you email us, please give us as much detail as possible so we may help you as fast as possible. Please give us your name, unit number, lease ID and problem you may be having. The fastest way to contact us to resolve an issue is to email us. Calls may end up in one voice mail, where the emails go to multiple people and a response will come quicker. For the fastest most accurate customer service, please email us first. 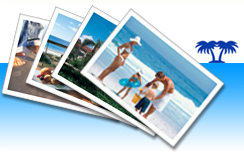 If you have questions about a Travel Insurance purchase or product please contact Travel Guard. PLEASE DO NOT CONTACT TRAVEL GUARD WITH A PROPERTY QUESTION. 200 North Service Rd. W.